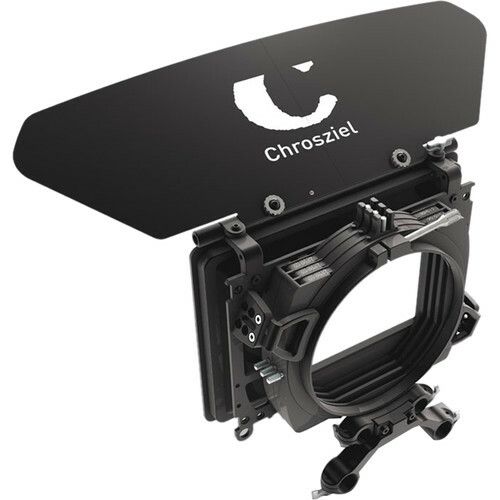 The completely modular Cine.1 Matte Box from Chrosziel is built to be strong yet lightweight to fit into your handheld or studio camera rig. Having a matte box on the front of your lens allows you more flexilbility in lighting your scene by blocking light sources just out of frame from directly entering the lens, which can cause the lens to flare, and introduce image artifacts. This particular iteration of the Cine.1 series can be mounted on 15 or 19mm rods, and is configured with three filter stages, which can be easily removed when not required by your production.